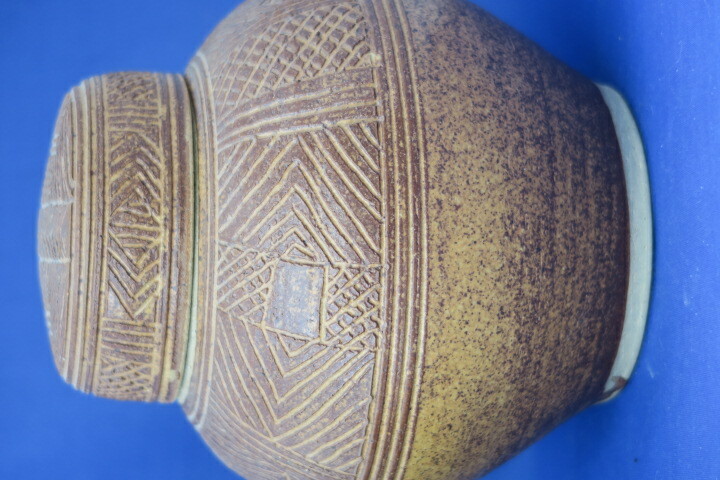 I have a studio pottery ginger jar , it is covered with incised patterns and is unglazed. 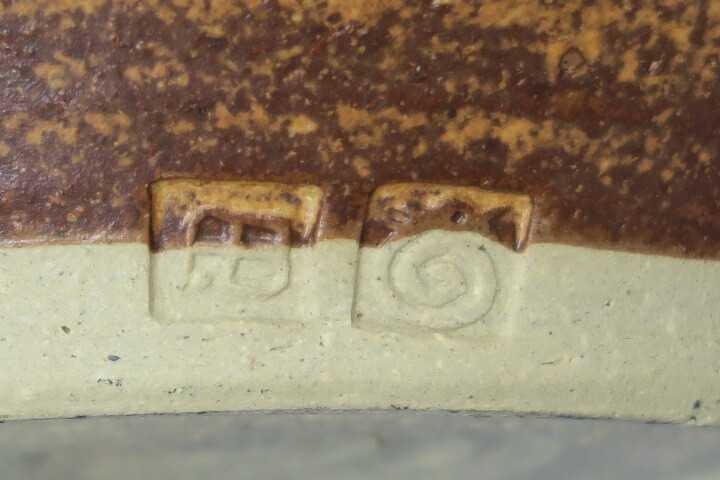 There are two maker's marks on the side at base; intials, possibly P.B and a bird with a spiral line body. The height of the jar is 20cm. Thanks NaomiM , I've looked again and I don't think so because it has a crest on top of the head and it does look like an open beak. Maybe it's not English , I don't know where to start !